John Muya leading his teammates at a past training session just before the commonwealth games. Since he quit his job as milk distributor, John Muya Njoroge had delved full blast into competitive cycling and sadly he was tragically killed on Saturday, October 16, while competing at a race in Philipines. Muya, one of the leading cycling figures who represented Kenya in Glasgow at the commonwealth games just over two months ago, was killed in a crash at the Tour of Matabungkay. He was a member of the Safari Simba riders, founded by David Kinja. The 30-year old gallantly led local riders in search of rare medals at the Cycling events and was the best placed Kenyan in 25th position in the men’s individual time trial last August. His performance then kept his dream alive of chasing a ticket to the 2016 Rio Olympics with a possible stop in Congo Brazzaville for the All Africa games next year. According to Cycling weekly the accident took place on Saturday at 10 am on stage two of the three-day amateur race, and while an ambulance was on the scene, the 30-year-old Njoroge’s injuries were so severe that he later died in hospital. Muya a third place finisher at the 2012 Tour of Rwanda, had won the 10km time trial that began the race last friday and later carried the yellow leader’s jersey into the first road stage of the race. The final day of the Tour will not be competed, with the organisers encouraging a “neutral, non-competitive ride, with the Kenyan Riders leading, to share and honour our loss,” according to the Kenyan Riders. While speaking to sportsnewsarena in Glasgow Muya's wish was for the government to invest in cycling as Chris Froomes success and their performance in Glasgow had proved that Kenya had the potential to compete with the best. 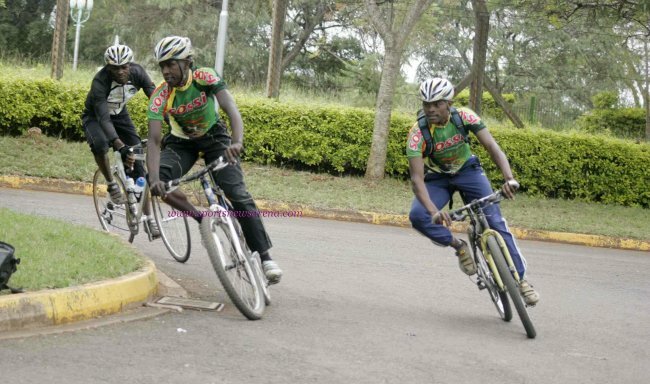 “As a country we have to invest in the sport to improve the level of our cyclists," he said as he compared the conditions for the Kenyan riders to their Rwandan counterparts awho are based abroad and have access to better training conditions and coaches. He is survived by his wife and a young son.